Who Should Have a Sleep Study? What Can a Sleep Center Diagnose? Although patients may only notice being excessively tired during the day, there are events that may be happening during sleep that they are not aware of. During a sleep study, the patient is constantly monitored and recorded and can then become aware of what issues may be going on. This is especially true of people who live alone. Many patients are not aware that they are snoring or that they even stop breathing at times during the night. Events, like sleep walking or night terrors, may not be remembered by the patient after waking. Not only is the patient's sleep behavior monitored and recorded, but what is happening inside their body is also witnessed. A patient may snore very quietly, but their oxygen levels decrease during the snoring. This can lead to fatigue the following day. A patient may not exhibit outward signs of night terrors, but their breathing and heart rate goes up significantly. A study done in a sleep clinic combines all of the information available to accurately diagnose and treat sleep disorders. Sleep apnea is a sleep disorder where the patient periodically ceases their breathing multiple times per night. When this occurs, the brain does not receive enough oxygen. It is important to have this disorder properly diagnosed because it can contribute to many serious health issues. Hypertension, stroke, heart failure, diabetes, depression, and headaches can all be the consequences of sleep apnea. Sleep apnea can also contribute to lack of focus during the day, causing accidents and poor work and school performances. Although almost everyone snores from time to time, patients who exhibit excessive, chronic snoring should have it diagnosed and treated. Snoring can disturb a partner’s sleep, leading to relationship problems. Snoring may also contribute to sleep quality issues in the patient. Narcolepsy is a sleep disorder in which the chemical in the brain, called hypocretin, is lacking. This results in patients feeling very sleepy during the day and can even cause episodes of involuntary sleep. During a normal sleep cycle, the muscles in the body are paralyzed during REM sleep. Patients with narcolepsy experience this paralysis when they are awake. They may also experience hallucinations during waking hours, vivid nightmares during their sleep, and episodes of sleep disruption. Although there is no cure for narcolepsy, with a proper diagnosis it can be treated. Sleepwalking is a common occurrence, especially in children. It typically occurs during the stages of lighter sleep. Patients do not usually remember the episode and may display unusual behaviors during the episode. A common misconception is that sleepwalkers should not be awoken, but that is very dangerous as it can lead to accidents and trauma. Sleep deprivation, alcohol consumption, and some medications can lead to sleepwalking. A study performed in a clinic can help to better understand the causes leading to the episodes and to help clinicians devise ways to treat them. Night terrors are different from the typical nightmares we all experience. A patient with night terrors exhibits symptoms similar to a panic attack while they are sleeping. There is often screaming involved in the episodes. The patient may thrash around or inflict bodily harm on those around them while in this state. A study can be helpful in deciding what kind of treatment may help to avoid these episodes. Insomnia can entail different sleep disorders. Many patients have trouble getting to sleep, while others have issues staying asleep. Insomnia can lead to feeling exhausted the following day during work or school, leading to poor performance. Chronic insomnia can be helped by having a study done so that the root of the problem can be resolved. 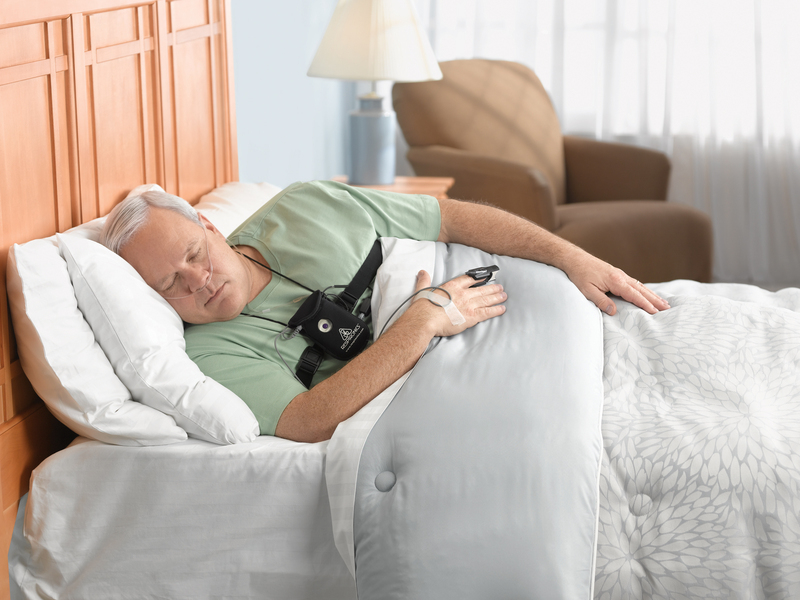 Sleep studies are performed by medically trained sleep lab technicians. The technician will use different types of equipment to monitor body processes. Typically, brain activity, eye movement, oxygen levels in the blood, carbon dioxide levels in the blood, heart rate, and respiratory rate will be monitored. The patient’s muscle movements and amount of snoring will also be recorded. This is to gather information about what is going on in the body before, after, and during sleep. During the study, the patient will be asked to fill out a health history and questionnaire relate to their sleep habits. Since the information needed to diagnose a sleep disorder needs to be gathered during sleep, patients usually stay overnight in a hotel-like atmosphere. Electrodes will be placed on the head and body to record brain activity and other functions. Elastic belts are placed around the chest and abdomen to measure breathing activity. A pulse oximeter will be placed on the finger or ear to measure oxygen levels. There are different types of tests that may be performed. During a polysomnogram study, the patient will be monitored for at least six hours of sleep. This is usable done at night, but if the patient has a job that necessitates sleeping during the day, the time will be adjusted. During a multiple sleep latency test, the patient stays in the lab overnight and also during the next day. When the nighttime portion of the study is concluded, the patient will be asked to nap every two hours for 15 minutes each. The length of time it takes the patient to fall asleep and body functions during the nap will be recorded. When a maintenance of wakefulness test is performed, the patient will remain at the sleep clinic overnight and a portion of the following day. The patient will be asked to stay awake without napping during the daytime portion of the study. Bodily functions will be recorded during the night and day portions of the study. When sleep disorders go undiagnosed and untreated, other medical issues can arise. The human body needs a restful night's sleep in order to maintain and heal itself. When a person is chronically sleep deprived, not only do they feel tired, but also their body can become run down. When patients are sleep deprived, they cannot focus on tasks in the usual way. This can lead to accidental injury or even death. For example, people can fall asleep driving and cause an accident. For people who operate heavy machinery at work, this can lead to life altering accidents. Sleep deprivation can affect the immune system. The immune system helps to fight off infections. If the immune system is not functioning correctly, this can lead to illness. It can also affect the length of time a person remains sick. People who are chronically sleep deprived often become overweight. This can lead to multiple health issues, including high blood pressure and diabetes. Patients who suffer from sleepwalking, or other sleep movement disorders, can injure themselves or other people in the house during an episode. Injuries can range from a bump or a scratch to more traumatic injuries like falling down the stairs. Undiagnosed sleep disorders can have multiple effects on the body. This is why it is so important to have a study done in a clinic to diagnose and treat the issue. The benefits of sleep centers far outweigh the inconvenience of spending a night away from home.